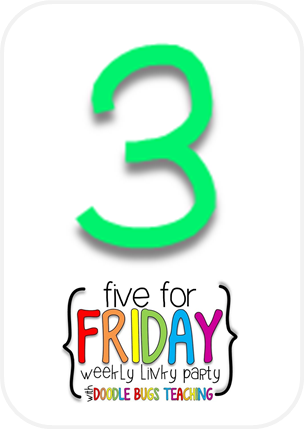 Firstie Favorites: My First "Five for Friday"
I cannot tell you how much I LOVE looking at teaching blogs. So many great ideas out there!! 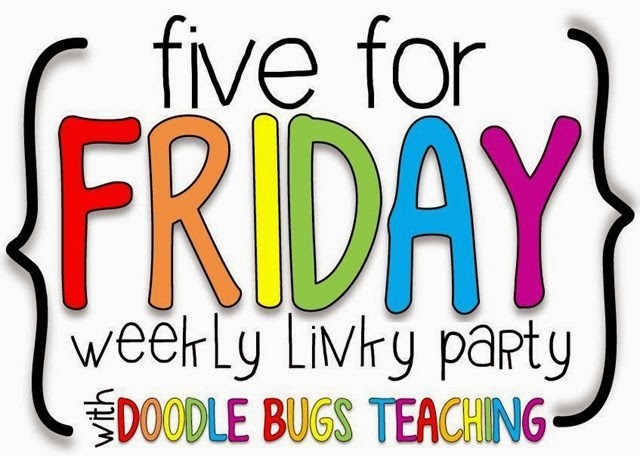 Here's my first Five for Friday Post... linking up to DoodleBugs Linky Party! Take a peek at my 5 favorite things from this week!!! I picked up these foam letters at Michael's Craft Store (I got three boxes on CLEARANCE!) and sorted them into little tubs. Students use our weekly word list cards and the foam letters to practice their words! One of the things that we have been working on in math is counting coins... so far we are using pennies, nickels, and dimes. We are soon going to add quarters as well so we did a little extra practice with using coins to make different values. 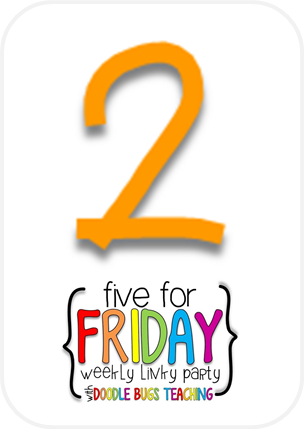 Grab your free printables for the Count it Two Ways sheet and the Coin Cards. We had parent-teacher conferences this afternoon which allowed me a little extra prep time between conferences. Put together these "Build a Sentence" books. Students flip through the cards to put words together to form a sentence... a little bit tedious to make so I only made 5 to use as one of my centers or with a small group during Work on Writing. If you are interested in making these for your classroom, here is the link for creating the flip books and the recording sheet. Due to snow and freezing rain, we had two days off of school this week. I never thought I would say this but I am totally getting sick of snow days this year. Teachers had to report to school on Thursday afternoon because we had parent-teacher conferences. Between conferences, I got a little extra prep time in, which was GREAT! However, it means that my desk was a complete disaster when parents were in for conferences... I guess that is the reality of my teaching... I hope that a messy desk reflects that I'm being productive (not that I'm disorganized! ), right?? Although, sometimes I'm not so sure. Working on two computers at once... I was a busy bee! DR. SEUSS PAJAMA DAY READ IN! I am so excited (maybe even more excited than my students?) for our Dr. Seuss inspired Read In today. Students are coming in their pajamas (me in my Cat in the Hat shirt) with blankets and stuffed animals and we are going to spend our morning reading and writing about Dr. Seuss. I even brought in a special treat... GREEN EGGS AND HAM. I'll post more about our day this weekend. Love fun Fridays!! Ready to go... they are stinking up the fridge at school as we speak... Oops! 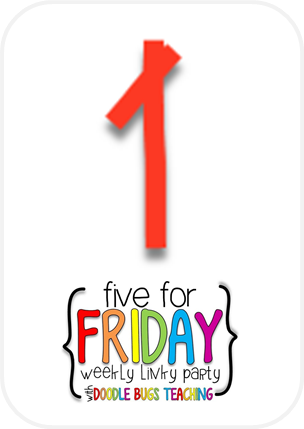 Well, that's all for my first Five for Friday. Time to get going on my lesson plans for next week before my kiddos arrive in an hour. I joined in my first Five for Friday in December and am now hooked! The Build a Sentence book looks so much fun. Wish I had access to a binder to make my own, might have to improvise somehow! 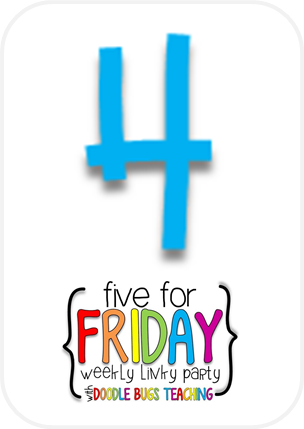 Welcome to Five for Friday. I love your T-shirt, where did you get it? Love the foam letters. I am your newest follower. 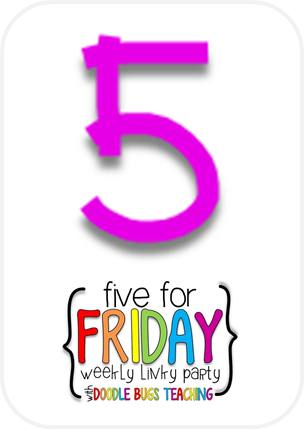 I found your blog through the Five For Friday Linky! Love the T-shirt! I love the deviled Green Eggs and Ham! Great idea! Oooohhh, I love the green eggs and ham too!